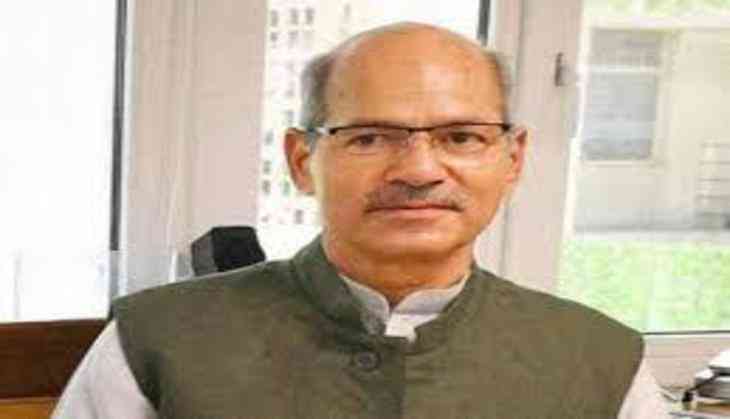 Former union minister of state for environment, forests and climate change Anil Madhav dave, who passed away this morning, has left a will in which he said a tree should be planted in his memory. "If people have love and respect for him, no memorial should be erected anywhere in my name, rather they should plant a tree," his will reads. Dave had left a will in 2012 in which he said that his body should be cremated on the banks of the River Narmada. Meanwhile, the Union Cabinet met today at 3.30 p.m. and observed a two-minute silence in memory of late Anil Madhav Dave and passed a condolence resolution. Dave's last rites, who passed away earlier in the day following a cardiac arrest, will be performed in Madhya Pradesh's Indore. Prime Minister Narendra Modi, Union Finance Minister Arun Jaitley, Union Information and Broadcasting Minister M. Venkaiah Naidu, Goa Chief Minister Manohar Parrikar and Congress president Sonia Gandhi, Bharatiya Janata Party (BJP) president Amit Shah also condoled the minister's death. A Bharatiya Janata Party (BJP) member, Dave represented Madhya Pradesh in the Rajya Sabha since 2009.